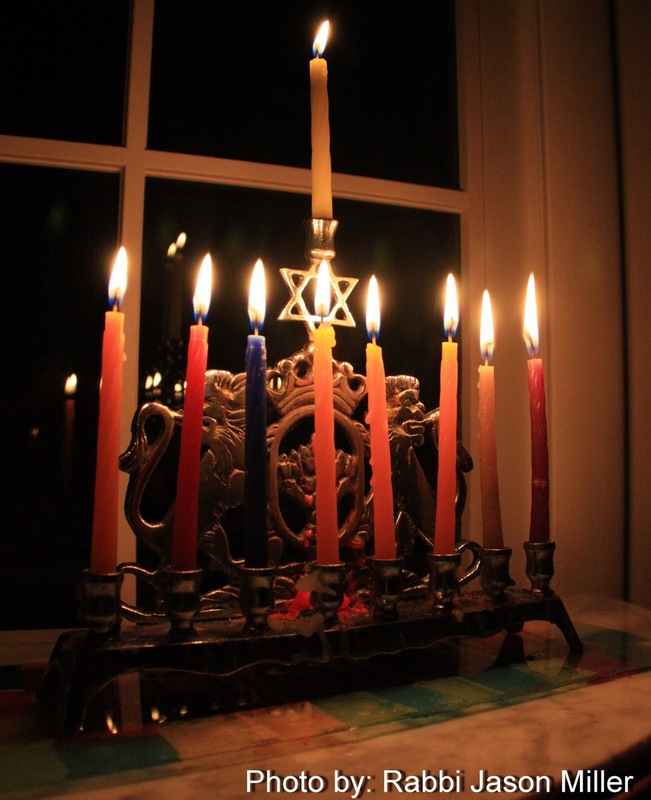 Last night was the final candle lighting of the eight-day Hanukkah holiday. It was also the only night that I didn't have a chance to light the menorah with my children. I went straight from a private tutoring session to teach an adult education class, grabbing a quick bite to eat in between. When I returned home at 9:30 p.m., my wife joined me to light the candles together. It reminded me of the Hanukkahs we celebrated together before children ("B.C."). There was something quite spiritual about watching the flickering light of the fully lit menorah reflecting in the window. We often think of Hanukkah as a children's holiday with the dreidel games and gifts each night, but for just one night of this eight day Festival of Lights this year I really enjoyed being able to focus on the glowing candles without worrying if one of my kids was going to accidentally get burned while lighting the flames. It was nice to not immediately transition from the candle lighting to the materialistic gift giving, worrying that my children would enjoy and appreciate the presents we bought them. 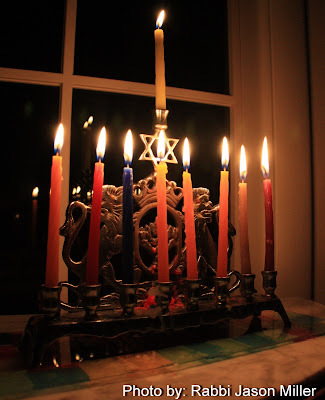 While I love sharing in the ritual menorah lighting with my children, the eighth night this year was a special gift.